The dawning of Age of Aquarius is more than just a lyric from a 1970s musical. It is a very real astronomical phenomenon that will occur in the not too distant future, affecting how we view the stars and constellations surrounding our solar system. To astrologers it carries a bit more significance for human society and world events, but this definition is, of course, heavily mired in pseudoscience. To understand when this new age will occur requires a bit of understanding of the constellations of the Zodiac, as well as the dynamics of Earth's orientation in the Solar System that cause the astrological age to change over time. An astrological age, also known as a great month, refers to the position of the Sun - from our perspective - in relation to the background constellations at the time of the vernal equinox. The vernal equinox, on March 20-22 of every year, is the point at which the Sun's arc across the sky shifts from the southern hemisphere to the northern hemisphere, marking the beginning of spring in the north and autumn in the south. 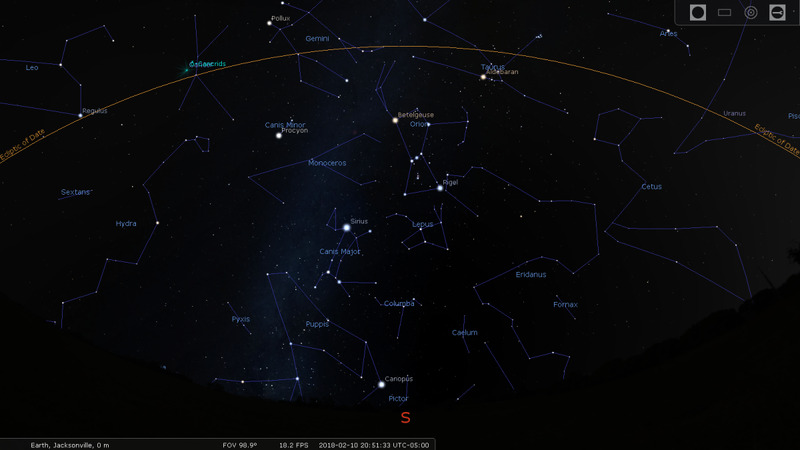 Currently, the constellation behind the Sun at the vernal equinox is Pisces, the fish. However, this has not always been the case. Due to the uneven tug of the Sun's gravity on the northern and southern hemispheres of our slightly pear-shaped planet, the Earth has developed a very slow, circular wobble in its axis of rotation. This wobble is known as precession. The north and south poles move in a slow, gradual circle over a period of 25,772 years. 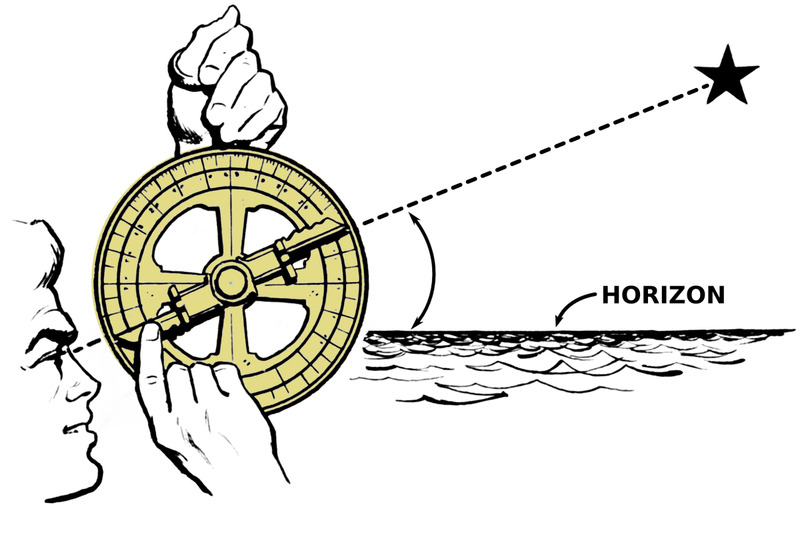 This means that in a few hundred years, Polaris will no longer be our north pole star, as the northern axis will have drifted a few degrees along this circle. This also means that the constellation behind the Sun at the time of the vernal equinox will also change, as the plane of the equator will shift along with the Earth's axis. 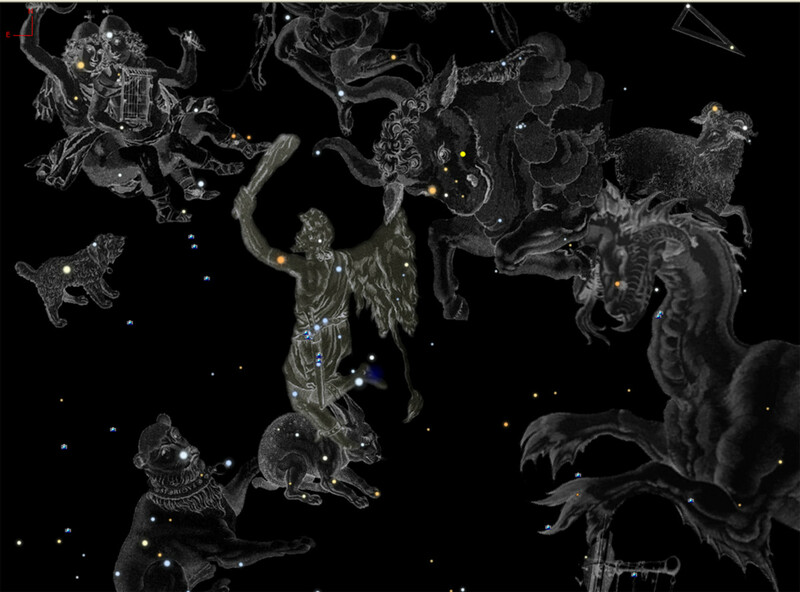 The next constellation after Pisces will be Aquarius, the water-bearer. Where is the Constellation Aquarius? The constellation Aquarius is one of the oldest recognized constellations, and played a role in ancient Greek, Babylonian, and Hindu mythology. As with all constellations of the Zodiac, it is located along the ecliptic - the plane of the Earth's orbit around the Sun. Aquarius is most visible from Earth during the month of October, and can be seen at latitudes from 65 degrees North to the South Pole. Apart from its significance to those who believe in astrology, Aquarius is an interesting region of the sky. Its brightest star, Beta Aquarii, is a giant yellow triple star 540 light years away with the Arabic name Sa'ad as-Sa'ud (luck of lucks). 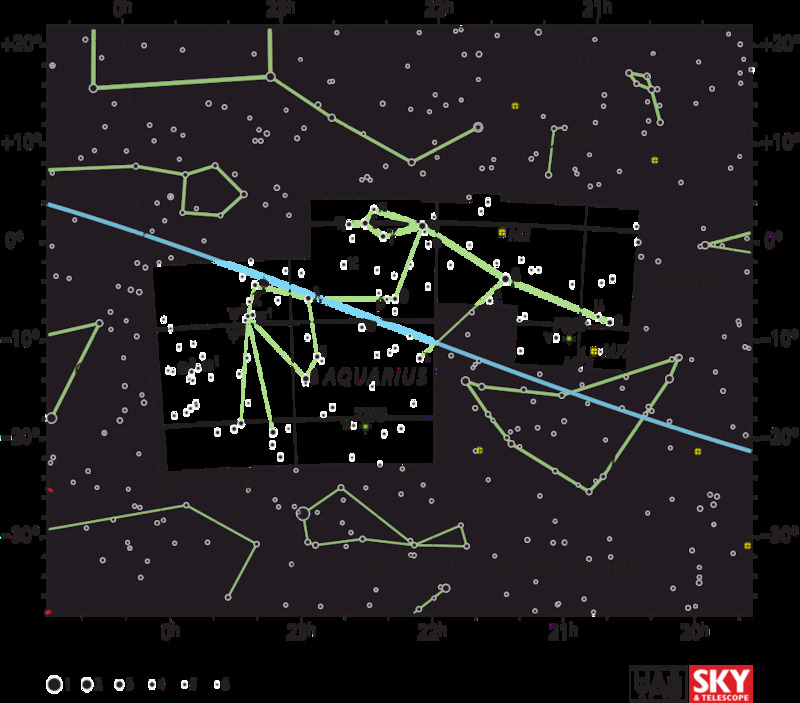 Next brightest, Alpha Aquarii, is a supergiant 520 light years away with another lucky name: Sa'ad al-Malik (luck of the king). The central star of the "Jar" of Aquarius is the binary Zeta Aquarii, located 120 light years away and bearing the Arabic name Sa'ad at-Tajiir (luck of the merchant). The astronomical luck of Aquarius extends beyond the constellation's core stars, as it is also home to globular clusters, planetary nebulae, and several interesting exoplanet finds. Gliese 876 is a red dwarf in Aquarius with four known planets, and the first red dwarf found to have a planetary system. Gliese 849 is another Aquarian red dwarf 29 light years away, and the first found to have a long-period Jupiter-like planet orbiting it. When Will the Age of Aquarius Begin? The time at which the Sun's position at the vernal equinox will move from Pisces into Aquarius is hotly debated among astrologers, who hold some widely varying opinions about where the borders should be drawn between the constellations. Many believe that it will happen in the 25th Century, many others believe it happened in the 20th Century. 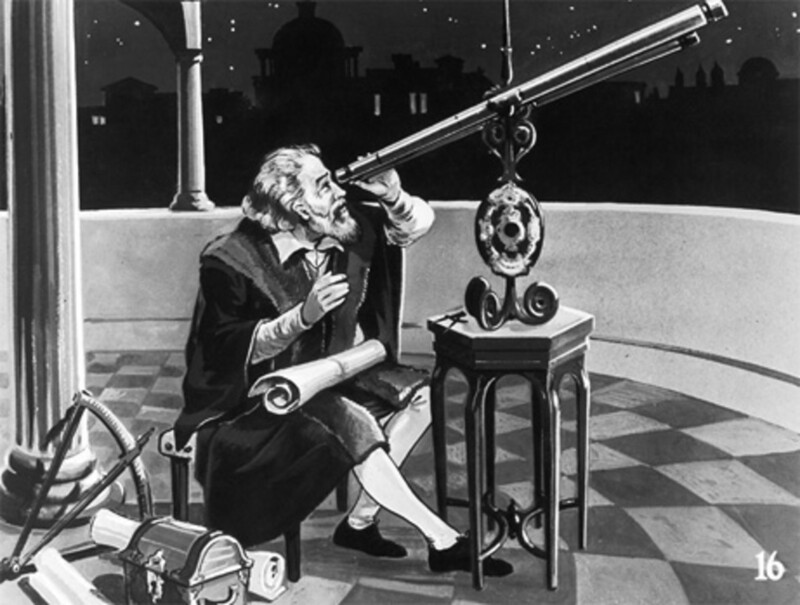 Other astrologers argue for the 24th, 26th, 27th, and the current 21st Century, while still others argue that it happened in the 18th, 19th or even as far back as the 15th Century. The Age of Aquarius mythology has also become entangled with the 2012 Global Superpocalypse mythology, leading many peddlers of pseudoscience to assert that the age begins December 21, 2012. 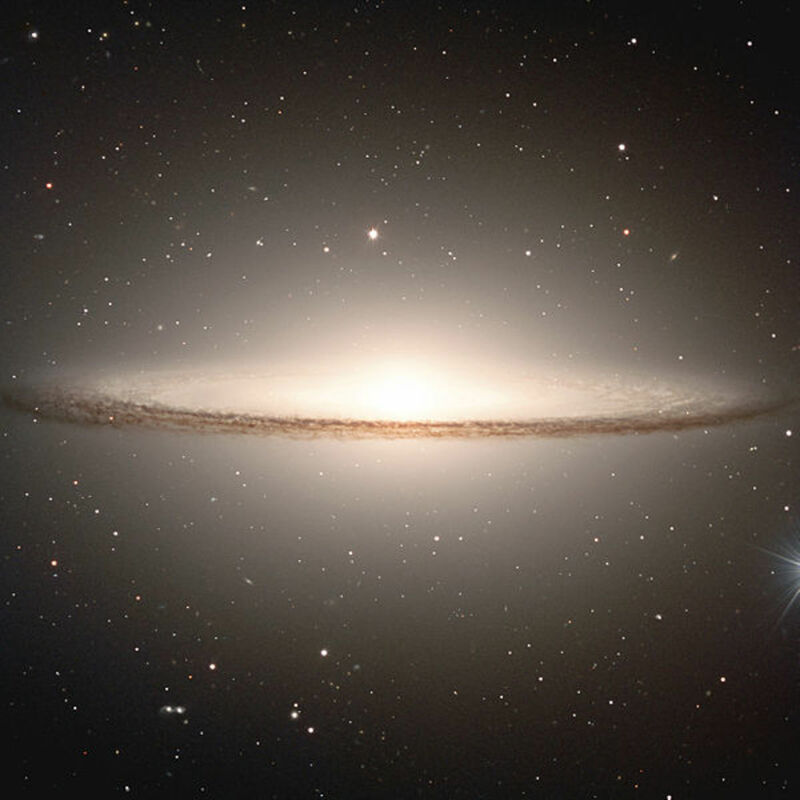 The International Astronomical Union (IAU) provides a much more solid answer to the debate. The IAU standardized the names, shapes, and - most importantly - the borders between the 88 modern constellations in 1930. This gives a defined border between Pisces and Aquarius - a line from the celestial coordinates 23h 56m 24s, -3.304° to 22h 51m 27s, -3.337° . 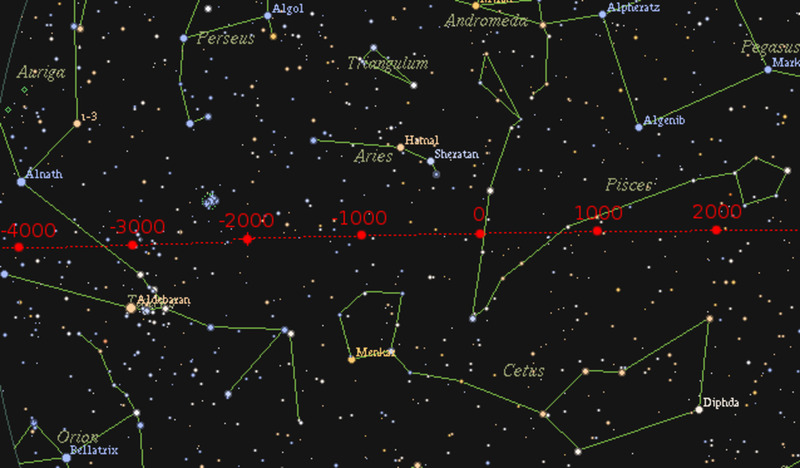 The point of the vernal equinox should cross this line around the year 2600. The fault, dear Brutus, is not in our stars / but in ourselves, that we are underlings. How Will the Age of Aquarius Affect Society? Why is the Age of Aquarius Significant? The short answer to this question: it isn't. Many astrologers assert that the movement of the vernal equinox across this imaginary border on the celestial sphere will somehow bring great upheaval to human society, causing the rise and fall of civilizations, expansion of global consciousnesses, changing family structures, and the ushering in of a global utopia and/or a fascist Orwellian nightmare. This is, of course, complete speculation. While the onset of the 27th Century no doubt will see its share of global events as humans make bolder technological and societal advances, and continues to cope with the consequences of our current age of climatic and environmental destruction, these events will have absolutely nothing to do with the constellations that happen to lie behind the Sun on the first day of spring. Apart from the astronomers who will have to re-draw star charts and rewrite science textbooks to accommodate the shifting poles, there will be no significance for humanity at all. 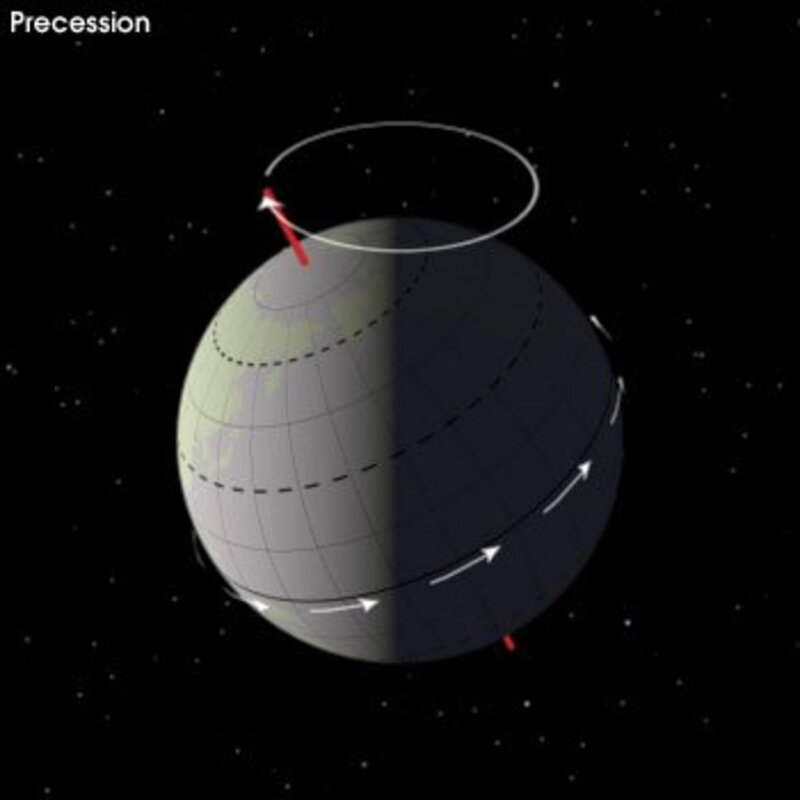 While it is true that changes in axial tilt and orbital characteristics can have cyclic effects on the climate known as Milankovitch Cycles, these occur on a scale of tens of thousands of years, not hundreds, and will not affect human existence in the near term. 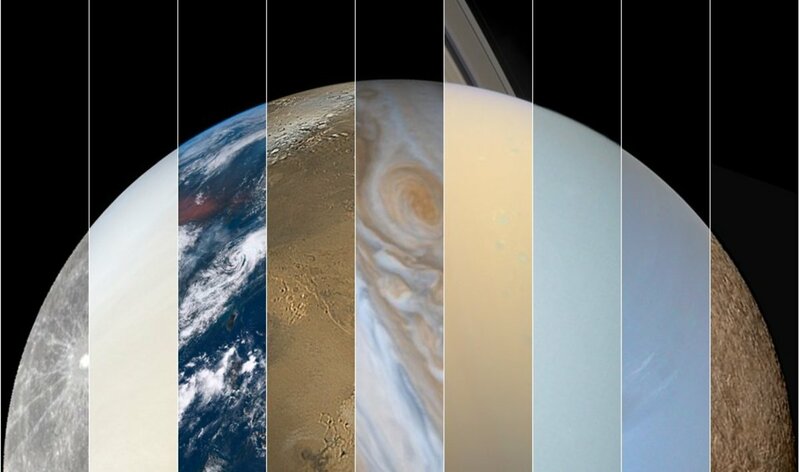 Despite what astrologers like to assert, the regular orbital movements of the planets of our solar system have no effect whatsoever on the course of individual human lives (except, perhaps, for professional astronomers and engineers who build space probes). This has been demonstrated in hundreds of scientific studies that show the predictive powers of star charts, birth signs, and astrology readings to be no better than random chance. The words of Julius Caesar are as valid today as they were when William Shakespeare (and/or Edward de Vere, Francis Bacon, Christopher Marlowe, or whoever else may have penned the work of Shakespeare) wrote them in 1599. The fault is not in our stars, but in ourselves. There is only one star in our sky that has any effect whatsoever on human destiny: the one that's visible during the day. Contains abstracts of 91 studies, most of them empirical, from four astrological research journals. Age of Aquarius may be an amazing age but we mortals forget that we will die one day. no matter how famous or great we may be in reaching the pinnacle of human existence or being called the bearer of true enlightenment to mankind,it wont matter to us one bit where we are going once we are dead and gone. so focus on the afterlife for that is the true purpose of why we are here on this side of existence.when we did die,we will be liberated from this physical plane but where we will eventually land will be determined by how much we plan to invest for the afterlife. live in hate and forgiveness and we will go someplace not very nice.live in love and forgiveness and we will land on a very nice place. why? cos love gives life.its because of love from your mother choosing not to abort you,you are here.i dont believe in light and dark as being equal entity of being praised .no, because of the goodness of the light of love we are here.the darkness sorrounding the stars dis not contribute to life but it is the light of the stars where the universe comes to life with vibrant colours of beauty too majestic and glorious for a feeble human mind to fathom. if this world is to be dominated by darkness,we will be having a nuclear holocaust a 100 times by now to blow us out of existence,humanity will ceast to exist a long time ago. but there is a force which loves life that is putting the darkness in check not to let it go overboard but giving us all a chance to find the true purpose of the path of light.and i will boldly come to the conclusion that this light is in fact the creator of the universe.it is our journey to find Him.we humans are designed to seek our creator and we will not find peace until we do but many of us choose to seek to fill the emptiness in our heart by indulging in many false ways and become more depressed by it. i always try to understand the methodology of tar signs, particularly Aquarius because that is my star sign. I was overwhelmed by how astrological readings can impact my everyday life. So much engage in my star signs day in day out. Thank you very much for the discovery. Knowledge is power. I'm under the impression that quantum mechanics has shown that even allowing causality to be nonlocal – so that an event in one place can have an influence on another, distant place – is not enough to explain how quantum objects behave. But that aside- Stonehenge is proof that stars have been affecting humanity since long before history. 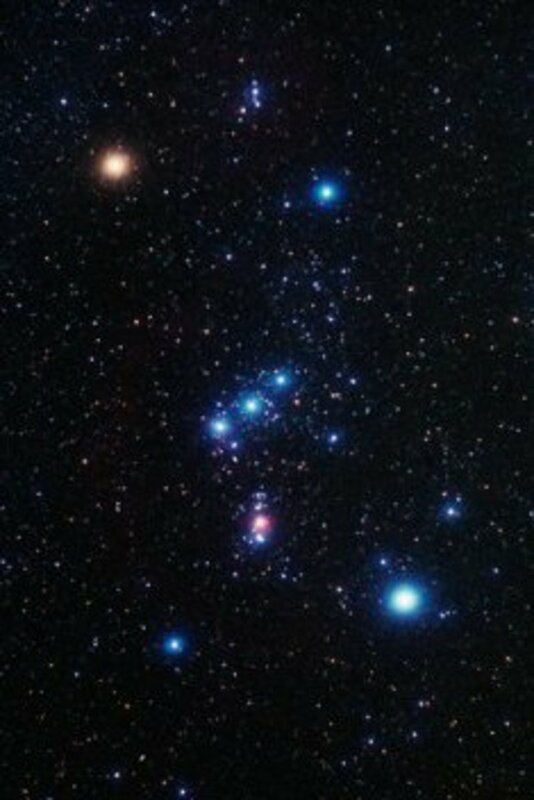 We are not able to tell whether the constellations influence our lives or not, we are just human and very limited to know these things, so every denial of their influence on us is not able to be proved nor is it based on correct explanation. There is so little we actually know about all the magic in the universe. I have studied it and I find it remarkable to experience change in my needs when the Moon turns into another sign or when the Sun position doesn't benefit my own sun sign, or when the Mars position supports me or not. If these planets influence us on a daily base, why would the ones that are generational or even Age-associated not do the same? Great article. Although Krishna would disagree with your conclusions ;) Aum. Excellent hub, well written and researched, thanks! That may be true - but there is more unknown than known in this world....and I seriously experienced some things like I'd never experienced before that night. It was very intense. All other things known were equal. But that is a "wanky" subject - unrelated much to this or my Theosophy article. @Weisman Todd Shaw: please do - I don't mind a bit and appreciate the link, even if your perspective is a bit different. Though I must caution a bit against the link you seem to be making between your emotional state and Mars. Unless you're Dr. Steve Squyres, principal investigator of the Mars Exploration Rover Mission, there's really no logical reason for you to associate any sort of change in mood with the relative positions of the Earth and Mars. Remember - correlation is not causation. This I cannot stress enough. Just because events may seem related does not mean that they are related. I've got a hub started that is semi related to this in a roundabout way - I need to finish the thing, but if you don't mind - I'd like to put a link to this hub in mine. Let me know if you don't want that to happen...this one might show up on the sidebar regardless, but it is really well done, and takes a more factual sort of view of the astrological thing than the wanky new age religious thing I'm writing - so it will be very useful. I'm hearing a lot about this, of course, and it is very interesting. I hear a lot of speculation about what it will do to the mind....interestingly enough, a couple Summer's ago when Mars was really close to the Earth for a bit...I truly felt that had a bad effect on me, but then again I'm universally thought to be nuts. You're very welcome - thank you for the inspiration! It was a far more interesting topic than I expected it to be. Thank you for writing such a fantastic Hub to my question! I can only admire how intelligent your answers are. Again, thank you. Voted up and everything else! Such an interesting read!